The BBQ Zucchini Chips were such a hit the other day, I used the same recipe on dino kale (Lacinato). AWESOME, although, very different texture from the zucchini chips. 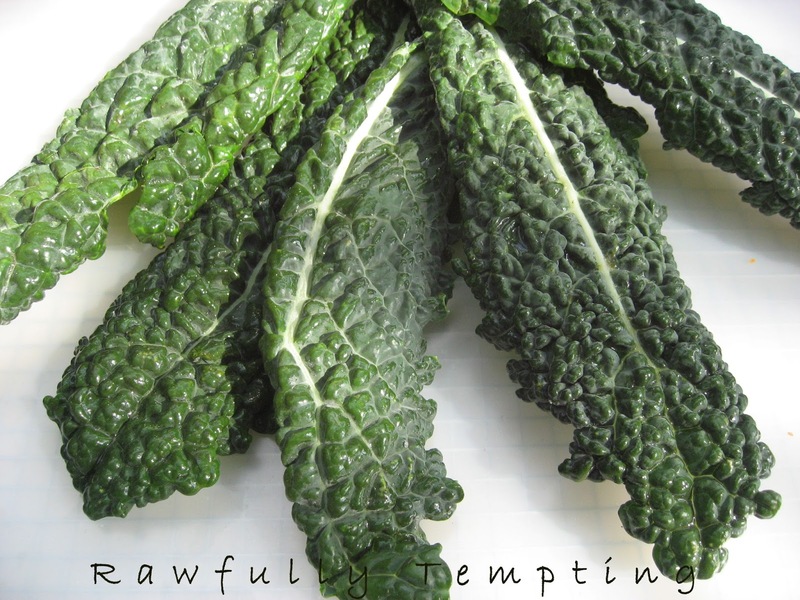 I personally prefer curly kale...either way, this recipe is a winner. It's VERY zippy, so tone down the red chili powder and cayenne, if you don't like spicy! 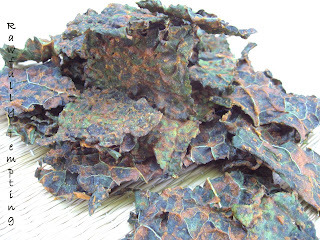 2 - Wash and spin-dry kale, and break into large chip sized pieces, removing any thick stems. 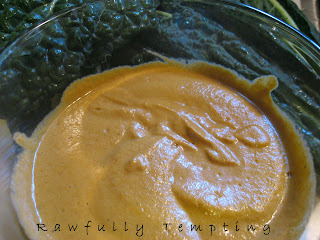 3 - Massage BBQ Sauce onto both sides of kale leaves. 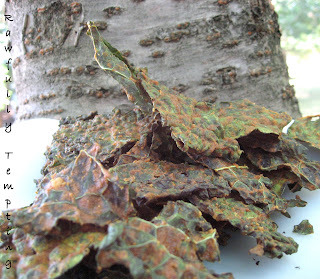 Place on non-stick dehydrator tray and dehydrate 3 hours at 110 degrees F.
4 - Flip chips over onto mesh dehydrator tray. 5 - Continue to dehydrate 12-15 hours (depending on humidity), until dry and crunchy. These are dehydrated Curly Kale Chips. 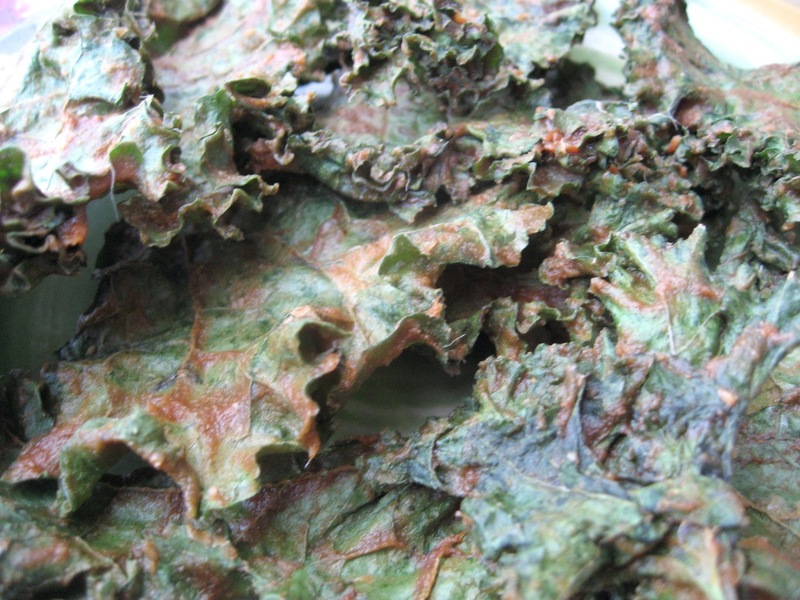 You can see how much thicker/heavier they are compared to the Dinosaur Kale chips below. 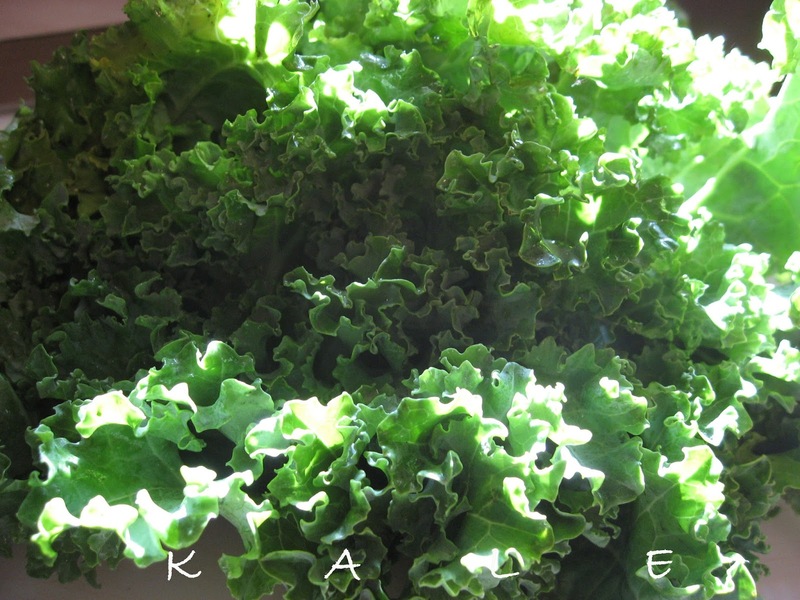 This is Dinosaur (or Lacinto) Kale. 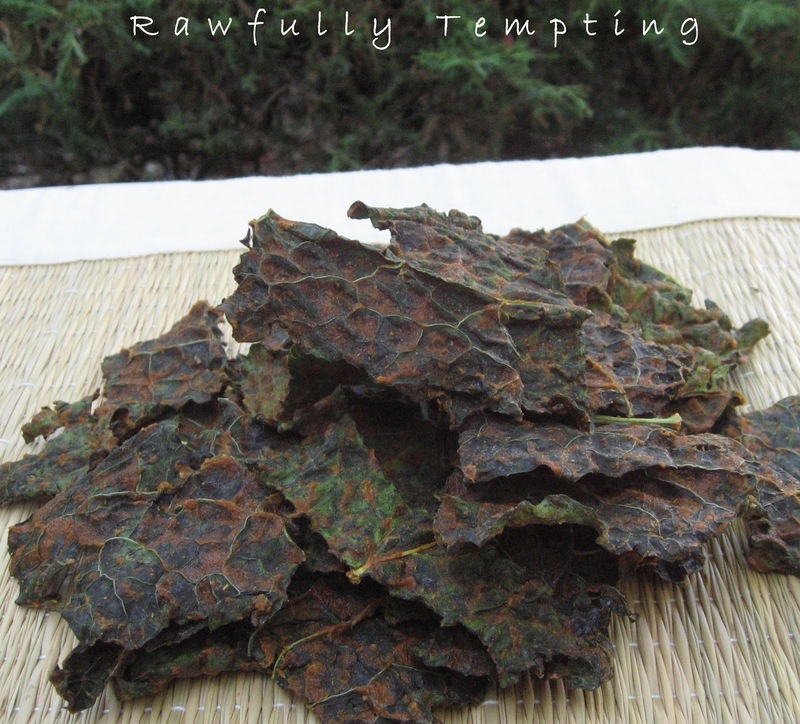 I love me some kale chips, so this is going to have to be a recipe I try!